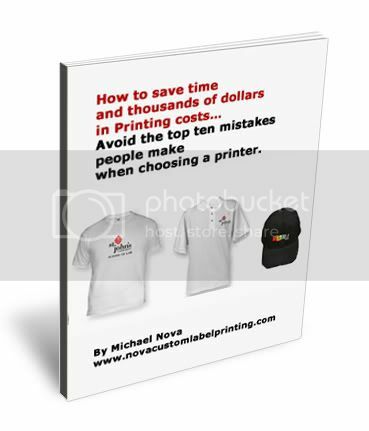 What makes Nova Custom Printing Different? Please see below to learn what makes Nova different, how we make it easy for you, and how we can save you time and expenses on your custom printing and embroidery. Our story was most recently featured on Entrepreneur magazine’s website, entrepreneur.com. To begin, please take advantage of our extensive experience and knowledge of the industry. Just enter your name and email address below and you’ll receive the report by email shortly. Since 1995, we have been at work developing close-knit relationships with high quality, reliable embroidery and screen printing facilities across the U.S… Over the years, we have strengthened these relationships, and through our network, we are able to offer CHOICE. Something our competitors cannot offer. Most printers are locked into their facility, with no other options. Their focus in on filling their lines to capacity. After all, they don’t want the machines sitting there. They want the machines rolling all day, every day. That’s good for them, but not so good for you. We, at Nova, work in partnership with top level facilities in twelve states, all across the nation, offering us a variety of options for producing your order as fast as possible. This is extremely effective in us getting orders through the pipeline quickly and with reliability. Most printers are locked into one their one and only option, with their only focus on filling their factory to capacity, while we are focused on filling your needs. To both meet your deadline, and save you time and cost on shipping, before you place an order, we determine which of our many facilities can serve you best. By doing this, we avoid shipping across the US, which can take up to a week and triple your shipping costs. Our main office then shuttles over the files to your local facility, and we email a proof to you, for your approval. Once approved, we begin printing or embroidering the garments for you. Finally, when the order is finished, we ship out to you by UPS or Fedex, to ensure prompt delivery. In the screen printing & embroidery business, there are unscrupulous vendors that will tell you what you want to hear, as opposed to telling you the truth. Many of our clients have told us scary stories about all the promises they were given by other companies, but they were disappointed by the service or the product they received. At Nova, we tell our clients right away, upfront when they can expect to receive their orders, what costs and procedures are involved, and help guide them through the process effortlessly. No surprises. We follow through on our words with the actions we take, and we insist on putting it all in writing, so there are no misunderstandings or delays because of them. We also have 18 years of experience, and the understanding of avoiding problems before they actually happen, by advising you of any possible issues because of graphics that may not print well, improper specifications, scheduling problems, or availability of specific garments. There are screen printers and embroiderers in the printing industry that offer a super low price for an even lower quality product. The old saying goes…If the price sounds too good to be true, it probably is. We are not the lowest priced. Nova however, is completely affordable, and committed to offering our clients and the best quality product at the best price. We utilize the most up to date printing and embroidery technology, coupled with advanced analyzation equipment, providing our clients with superior quality product. 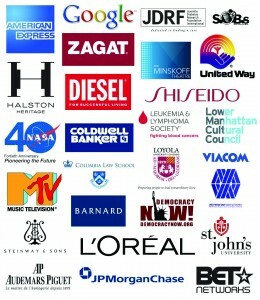 In addition, we work with you, one on one, to ensure that we meet your deadlines. We always stand behind our work responsibly, with the client’s satisfaction our #1 priority, and…. with printing facilities in LA, NYC, Florida, Michigan, Illinois, Utah, NC, Texas, Indiana, Georgia and Maryland, we offer the fastest rush service in the nation..